Not Just Any Other Arsenal Blog! The big Arsenal central defense debate has just heated up, after Sunday’s game against Manchester City. With the Gunners starting the season with Thomas Vermaelen and Per Mertesacker, as first choice centre-back pairing, owing to an injury sustained to Laurent Koscielny, it took a flu to Thomas Vermaelen, for the Frenchman to make his first start of the season. Boy, and did he leave a mark. What this leaves is, and what I have been telling all along, in my blogs over the last week, is a pleasant headache to have for Arsene Wenger. I really cannot cast my mind back to a time, when we had 3 world class international central defenders at our disposal, and more often than not available for selection. Yes, you can go the time of Sol Campbell and Kolo Toure, both of whom were ultra-fit, limiting appearances for the ageing Martin Keown and the erratic, er, Pascal Cygan. 9 years down the line, Wenger has finally assemble a formidable defence, after years of tinkering around with the likes of Senderos, Gallas, Silvestre et al. So, now the big debate is, which is the best central defensive partnership for the Gunners. With the help of statistics which I have compiled from various sources, over the course of the 2011/2012 season, I will try and find out. Let’s first have a look at each player, statistically. Note that all the statistics presented below are from the 2011/2012 season only. All statistics are compiled from only the Premier League games in the 2011/2012 season. Let’s be honest. Koscielny’s early days in the Premier League were beset by ill-discipline, errors and defensive mishaps. He collected 2 red cards, in his first season at the club, including one on his debut at Liverpool, and was in the centre of a calamitous error that handed the Carling Cup to Birmingham City. Today, it is pretty safe to say that the Frenchman has redeemed himself to a level, where he is counted amongst the league’s best central defenders, and all this was based upon a personally satisfying 2011/2012 campaign, which even saw him break into the national side of France. Koscielny has shown great improvement in the aerial department, over the course of a season. As stats suggest, he improved from 54% to 62% from 2010/2011 to 2011/2012 in terms of aerial duels won. This equals to 1.9 aerial duels per game, over 33 league games he played in. What’s more impressive is that he isn’t the tallest defenders around, but he has stood up to the likes of Ibrahimovic (remember that evening when he had the Swede in his pocket), Ba, etc. Physically, there is still scope for improvement, as he has been susceptible in the past to the likes of Zamora, but there’s enough to suggest he isn’t intimidated by anyone. More impressively, Koscielny made the highest interceptions by an Arsenal player, with 91, at almost 3 per game, last season. He also led the charts for the club, with 168 clearances during the season, (which is not mentioned below, due to inaccurate data) at the rate of 5.1 clearances per game, but was overall overshadowed by the rugby professional Ryan Shawcross of Stoke, who made a humungus 483 clearances, from his 36 league games, at the rate of 13.4 clearances per game. In terms of key tackles, Koscielny won 59 of his 85 attempted tackles, at the rate of 1.78 per game, 15 less than the 100 attempted by Alex Song, who led the club in terms of tackles, at a success rate of 73%. He also committed 33 fouls, at the rate of 1 per game. However, you may also note that Koscielny received a total of 9 yellows last season compared to 10 yellows, and 2 reds during 2010/11.Overall, in my ratings he got a 7.17. 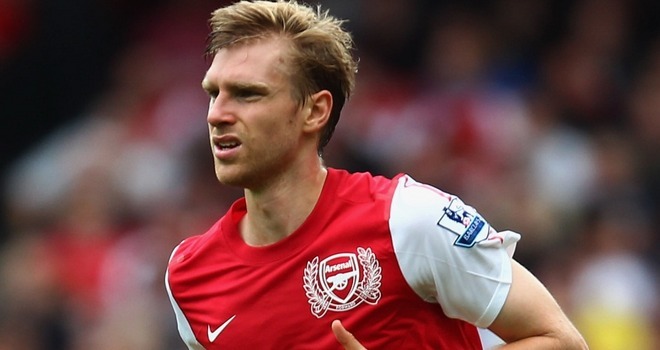 Mertesacker joined from Werder Bremen last season, with immense international experience with Germany, winning nearly 86 caps. His initial period in English football wasn’t the best, however. Having to cope with a pacy, physical and less technical style of play, the gentle giant took some time to adjust. However, statistically, he makes some interesting reading. Having his injury cut short due to injury, thanks to playing on a rice field in Sunderland, he managed only 21 appearances, yet had the highest pass percentage among the three defenders, nearing 90. Despite his seamless height, he did not win all his aerial duels, and his rate of 63% can be considered disappointing. Interestingly, he made only 35 interceptions in the entire season, at 1.6 interceptions per game, but on Sunday, against Manchester City, he completed 7 interceptions, in the course of 90 minutes, and has trended in Twitter as Merteceptions! Overall, in my ratings he got a 7.42. Vermaelen came to Arsenal, having captained Dutch giants Ajax at a very young age, and very quickly made it into the hearts of Arsenal fans, for his aggressive style of defending, drawing comparisons with club legend Tony Adams. Blessed with a left foot, that can literally be doubled as a cannon, the Belgian made it into the PFA Team of the Year in 2009/2010, his very first season at Arsenal. However, he missed the entire 2010/2011 season, and his absence was sorely felt on several ocassions, as Arsenal went from being front runners in 4 competitions, to ending the campaign trophyless. Last season too, he was marred by injuries, yet managed a total of 29 appearances. One surprising fact that came out, is he managed to win only 55.6% of his aerial duels, yet managed the same number of duels per game as Koscielny. However, his tackling has improved leaps and bounds, as he won 82% of all his tackles, which is pretty impressive.Overall, in my ratings he got a 7.45. In the below table I have tabulated how the different defensive partnerships performed last season, in the Premier League. First up, Laurent Koscielny and Per Mertesacker, partnered each other 16 times, and conceded 20 goals, at more than a goal a game. Statistically, the best partnership was that of Mertesacker and Vermaelen, who conceded thrice in 4 games, yet these stats only tell half the story, as judging a defence over the course of 4 games would be unfair and naive. Interestingly, the Gunners picked up highest points per game, when Koscielny partnered Vermaelen, at more than 2 points per game, which means we would have picked up 79 points as to the 70 we picked up. The injury crisis at the club meant the manager was forced to play all three defenders at once. Koscielny often found himself playing at right-back, and Vermaelen played many games at left-back. Surprisingly, when all 3 played together the Gunners had a meaner defence, conceding less than a goal per game at 0.75 goals per game, and collecting more points than any other central defensive partnership, at 2.09 points per game. While the statistics above and the rating given above may prove that Koscielny is 3rd best among the 3, it is a widely accepted fact that he may be our best defender at the moment. The problem with statistics, is they can be a bit skewed. While Koscielny played 33 games, Mertesacker played only 21, and hence, comparing the two could even be deemed as a bit farsical. For example, Koscielny attempted 85 tackles, at 2.6 tackles per game, winning 59, at a success rate of 69.4, while Mertesacker made only 17 tackling attempts in 21 games at 0.8 tackles per game, which game him a slightly better success rate. Meanwhile, Vermaelen attempted 47 tackles at just 1.6 tackles per game, giving him a massive success rate of 82.5%. Surprisingly, Vermaelen, who many fans generally consider a fantastic jumper, and hence a great header of the ball, won only 55.6% of his aerial duels, while Koscielny, the defender with a slim frame contested 101 aerial duels at the rate 3.06 per game, winning 62. Mertesacker, again, falls behind in number of aerial duels attempted with 46 in 21 games at the rate of 2.19 per game, yet comes out trumps in percentage of aerial duels won. In short, statistics do not tell the whole story. This season, however, the German has shown enough signs of improvement. For example, the German made 35 interceptions in 21 appearances, at just 1.6 interceptions per game, yet this season, he has already made 13 interceptions in 5 games at 2.6 interceptions per game. That stands testament to his reading of the game and situations, built after years of experience at the top. This is by far the hardest case to define. 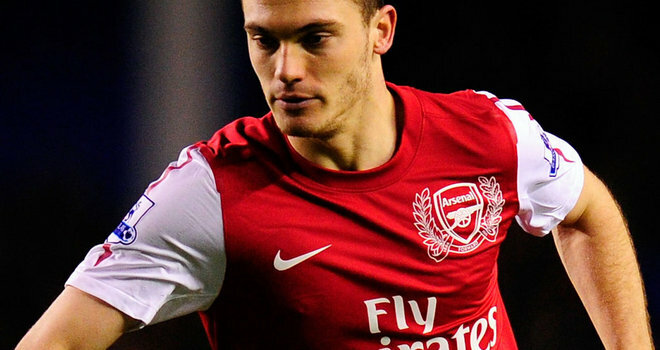 Vermaelen is club captain, and hence almost indispensable to the team. He is one among the first names in the team sheet. Yet, he has shown erraticism in defending. While there is no two ways about the fact that as a defender, he should only concentrate on defending, Vermaelen often ventures forward, and scored 6 goals last season. Of course, this is contradicted by the fact that he has the best record, statistics wise, last season, in percentage of winning tackles. Yet, statistics tell only half the story. Tactically, the Belgian can be a manager’s nightmare or his dream. This is because, his natural attacking instincts cost the team on more than one occassion last season. This often meant Alex Song had or Mikel Arteta had to drop back, in the advent of more space being created for the other team, leaving the defence thoroughly exposed. A simple example is the game against Norwich last season, when vast spaces were left for Simeon Jackson and Grant Holt to exploit. In the end, we ended up conceding thrice, two of which were due to poor positioning. This season, though, under the tutelage of Steve Bould, we have seen a new Vermaelen, one who has made defending his priority. We have rarely seen the Belgian venture forward, apart from that foray against Southampton, when we were already cruising. So, who would I like to see as Arsenal’s first choice central defence pairing. Well, that’s a hard question, but personally I would have to go with Laurent Koscielny and Thomas Vermaelen. It is a bit hard on the German, who misses out narrowly, but the impressive form of Koscielny, where in he was counted as one of the top defenders in the league, cannot be ignored. Secondly, Vermaelen, as I said is indespensable to the team, and probably is a better all round defender than both Koscielny and Mertesacker, because he is a good mix of the best attributes of the others. He is a great tackler, strongly built, aerially potent, and always a goalscoring prospect. So, do you agree with my conclusion? Do let me know, and do vote in this poll! And do like, the Facebook page as well. Go ahead you lazy bum, that’s all I ask of you! Kind of,but verma and koscielny attack alot and have the same pattern of play while the big german is resolute and conventional and reads the game unlike the rest. Everyone thought Koscielny had a great game against Man City, but he made at least two serious errors that could have cost Arsenal the game. First he was lucky to avoid conceding a penalty after taking down Aguero in the box and late in the game he made a horrible clearance of a Mannone save that went right to a Man City player in the box. Either or both could have resulted in a goal against. He makes serious mistakes in almost every game, but he never gets the blame. I’ll take Mertesacker and Vermaelen hands down! 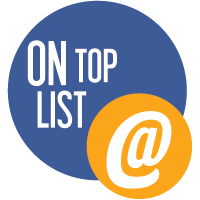 Get email updates on latest posts in Blazing Cannons in your inbox by entering your email address here. Arsenal 2 Southampton 1 – Lucky Arsenal leave it late! Watford 1 Arsenal 3 – First half walkover overrides second half scare! Leicester City 0 Arsenal 0 – Drab draw to open the account! Arsenal 3 Liverpool 4 – Bottled on Opening Day! The season is upon us! St. Team P W D L GD Pts.